Zapier gives you the power to integrate FogBugz with hundreds of other apps to automate your work. Click on Connected Accounts and select Fogbugz from the drop-down menu. Enter your FogBugz API Token and Account Name. An API Token can be generated from your FogBugz Account (see Generate API Token). 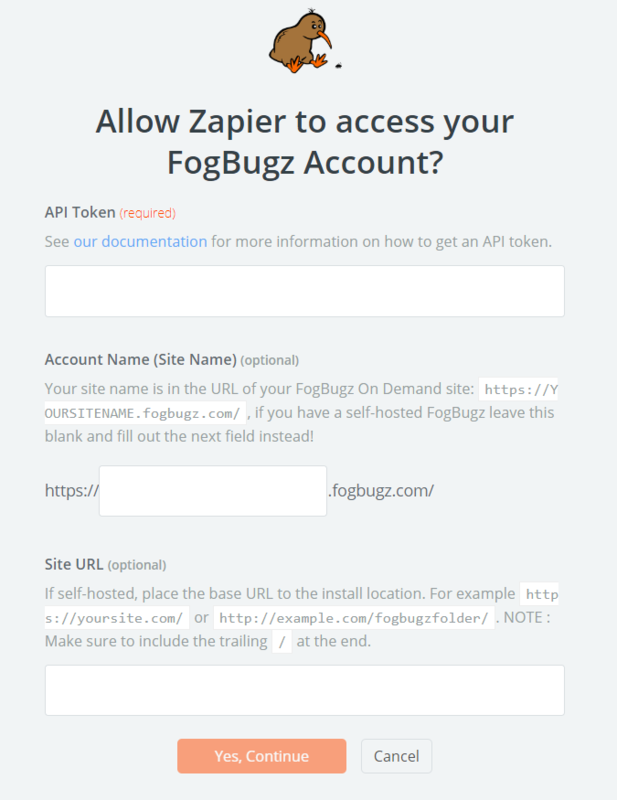 Once you have entered your API Token and Account Name (either the URL of your FogBugz OnDemand or self-hosted URL) and clicked Yes, Continue, Zapier will test your account to make sure the connection works. If it does, you're all set!